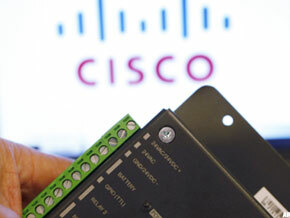 Cisco saw a recovery in orders that gives investors hope for strong third-quarter numbers. SAN JOSE, Calif. ( TheStreet) -- Tech stocks are set to ride on Cisco's ( CSCO - Get Report) solid numbers, but sky-high expectations may be a bit out of reach. Recent checks by analysts show a surge in orders for Cisco gear, which has investors expecting the company to deliver strong fiscal third-quarter numbers after the bell Wednesday. Follow the action by tuning into TheStreet's Cisco earnings live blog, which goes live at 4 p.m. But this so-called snapback in demand for Cisco networking equipment -- while huge, given the sluggish recovery of tech spending -- may not be enough to carry Cisco shares or the tech sector higher. In Cisco preview reports this week, several analysts wrote that they expect Cisco to blow past the consensus targets. The so-called whisper number, or actual expectation among investors as compiled by WhisperNumber.com, is 41 cents a share in pro forma profit. History is on Cisco's side here. The network gearmaker has beaten the whisper number five of the last six quarters. But investors are forward-looking, and much rides on the company's guidance and the tone of CEO John Chambers' business outlook. Some Cisco analysts are expecting better numbers here as well and are predicting raised guidance. The consensus target for fiscal fourth quarter sales is $10.7 billion, a 4% sequential increase from the third quarter levels. Also, with volcano-related disruptions and Greek debt problems looming, investors will be listening for an update from Chambers on business conditions in Europe. Market jitters last week pulled Cisco shares down 12% last Thursday, but the stock has recovered a lot of that lost ground. Cisco is up 3% Wednesday, a mere 4% below the stocks recent highs earlier this month.